Traditional costume haferl socks 26011 mocha-coloured. In bavaria, austria and other german-speaking alpine regions, haferl socks have been part of traditional costume for as long as people can remember. For centuries, haferl socks have been worn with the traditional haferl shoes which enjoy great popularity to this day. In modern traditional fashion costume, haferl socks are also combined with regular shoes and boots of the more robust kind. 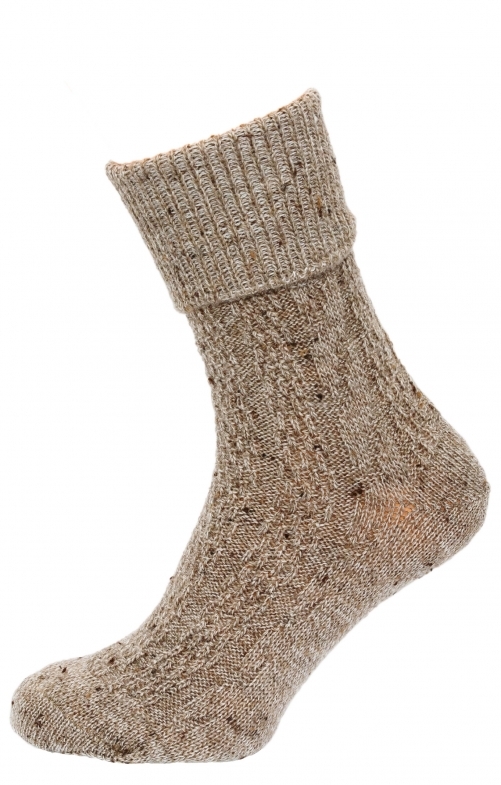 This pair of haferl socks owes its particular charme to its mocha colour, which emphasizes the traditional look. To this day, haferl socks are made in the same fashion as for centuries, using the same techniques and high-end materials. In terms of quality and perfect fit, there is no match for haferl socks. Sieht super gur aus und passt auch gut!